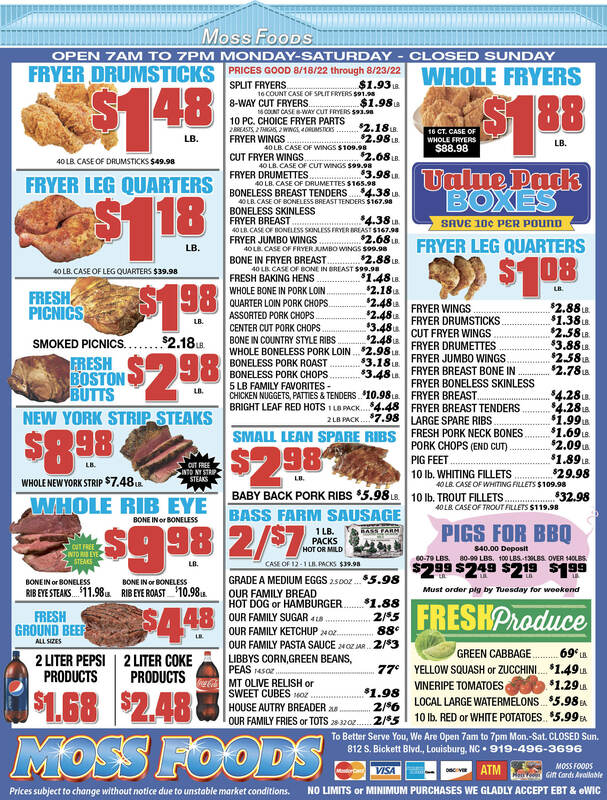 Showing 49 articles from May 8, 2013. PEARCES — Franklin County sheriff’s deputies and State Bureau of Investigation agents arrested eight people and shut down a clandestine meth lab. It was a bit of a surprise for vice officers expecting to raid a house on Old Halifax Drive, looking for marijuana or illegal pills. “We had no idea it was a meth lab,” Franklin County Sheriff’s Det. Justin Hastings said of the May 1 raid on the property. Let the budget battles begin! FRANKLINTON — Town commissioners walked out of Tuesday night’s budget session with a proposed spending plan that cuts the tax rate by 2 cents. That consensus, though, came following budget work session that featured a pointed exchange between Mayor Elic Senter and Mayor Pro-Tem Anita Fuller over the issue of town insurance. LOUISBURG — If no changes are made to budget requests, Franklin County residents would be looking at a nearly 21-cent tax increase. During a budget session on Tuesday, educators and some department heads from EMS, the health department, the library and county employees got the chance to sway commissioners to pick up the tab on new projects, programs or needs during the board’s first budget session. 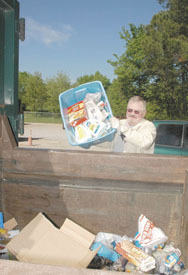 BUNN — When the county began single stream recycling, the benefits seemed almost too good to be true. Residents would no longer have to separate their glass, plastic, aluminum and mixed paper. They’d all go in the same bin, separated later on down the recycling line by material recovery facilities like Waste Management. Remember all that talk about more “transparent” government once the Republicans took control in Raleigh? Apparently that was a campaign slogan to get voters to take their eyes off the ball and elect a bunch of folks who are even more fond of secret, backroom meetings than those old Democrats. North Carolina has never been known for its open government. In the scope of local government scandals, this latest one is rather mediocre — although, make no mistake, it will cost everyone in Franklin County something. And if you live in a town, it will cost you twice as much as it will those who live in the county. 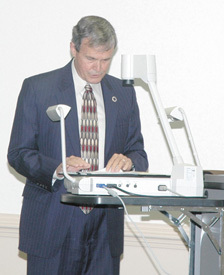 This mess revolves around a bookkeeping issue at the Kerr Tar Council of Government in Henderson, a regional governmental organization that includes Franklin County as well as all the towns in the county, all of which pay annual dues to belong. When town officials or county commissioners meet, there is a portion of the meeting that allows commissioners to bring up or present issues that they found to be important while attending or serving on other boards or commissions. To be completely honest, it’s usually the time when I get to take a rest from note taking, as most of the comments don’t amount to much more than the equivalent of junk mail. 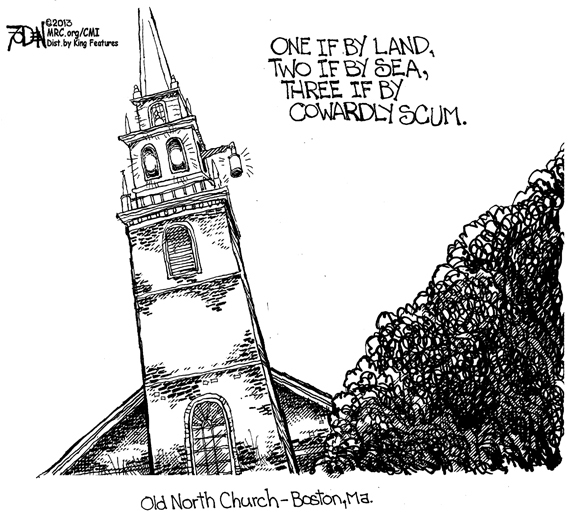 As former Republican and Democratic governors, we often disagree. But here’s one area where we agree: North Carolina’s courts must be protected from the corrosive influence of special-interest campaign money. Judges in North Carolina run for election; that can lead to the awkward situation of judges raising large campaign donations from those who appear in their courts. LOUISBURG - Funeral services for Carl D. Davis, 77, who died Tuesday, May 7, 2013, will be held Saturday, May 11, at 2 p.m. at Allen Chapel Missionary Baptist Church. Burial will follow in the Mary Helen Jones Cemetery. RALEIGH - Charles Herman “Smiley” Pearce, 86, died Monday, May 6, 2013 at Rex Healthcare. Funeral services were held Wednesday, May 8, at L. Harold Poole Funeral Chapel, Knightdale. Burial followed in Montlawn Memorial Park, Raleigh. LOUISBURG - Jackie Moore Gupton, 53, of Louisburg died Tuesday night, April 30, 2013, at her home. Jackie loved her family, friends, her home, working in her garden and she loved her two dogs, Zoe and Ty. KICK MASTER. Franklinton’s Savanna Styers (right) clears the ball while being chased by Bunn’s Erica Levinson during last Thursday’s conference tie-breaker girls soccer matchup at the FHS Football Field. 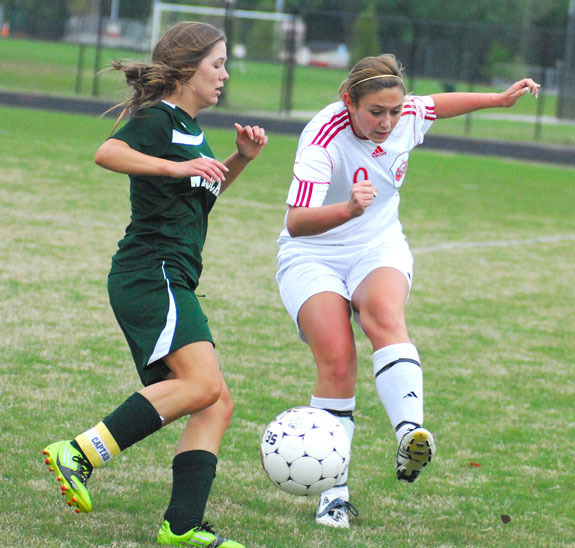 FRANKLINTON -- Much more than rivalry bragging rights were at stake last Thursday when Franklinton tangled with Bunn on the girls soccer pitch -- for the second time in a 72-hour span. The postseason, tie-breaking contest was needed when FHS and BHS finished even for third place in the Northern Carolina Conference standings. AUGIE’S ACCESS DENIED. Louisburg College’s Augie Ayers (left) is tagged out at home plate during last Saturday’s game with rival Pitt CC at the annual Region X Baseball Tournament at Burlington Athletic Stadium. BURLINGTON - After the bulk of last year’s star-filled roster moved on -- and the coach took a job at Division I Morehead State -- the Louisburg College Hurricanes entered the 2013 baseball season with uncertain expectations. And for good reason. LC’s roster had experienced a major overhaul after its 2012 success, which featured a new school record for most victories in a campaign. STAND BY ME. Louisburg’s Morgan Morris (left) makes a play as teammate Kaylee Dement watches during last Wednesday’s road loss against Bunn. BUNN -- Even with just one senior on the roster -- Caitlin Ackerman -- Bunn found plenty of ways to celebrate during last Wednesday’s season-ending softball matchup against Northern Carolina Conference rival Louisburg. Seventeen of them, as a matter of fact. 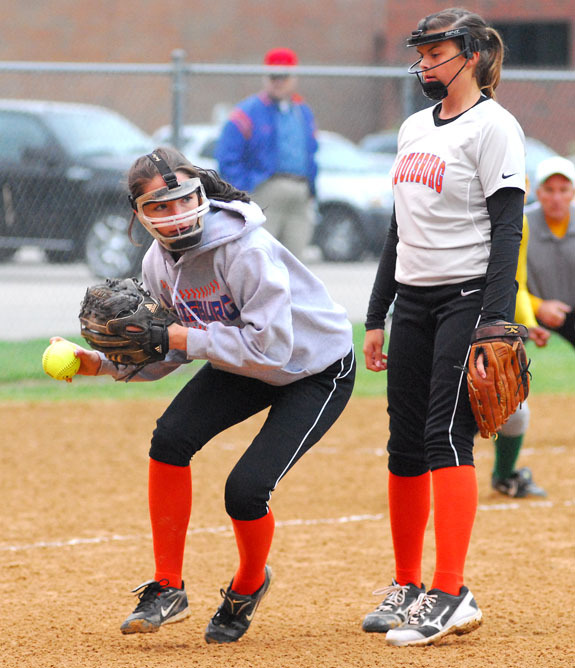 BHS scored early and often en route to picking up a 17-0 decision over the Lady Warriors. Thanks to the poor weather that has plagued the area for the past two months, several softball and baseball conferences had to utilize late make-up or tie-break games before finalizing their seeds for the North Carolina High School Athletic Association State Baseball and Softball Playoffs. Because of that, the NCHSAA wasn’t able to release its Class 2-A State Playoff pairings until Wednesday. CALLING THE CATAMOUNTS. Louisburg College All-American Justin Taylor will continue her women’s basketball career next season as a member of the program at Western Carolina University. 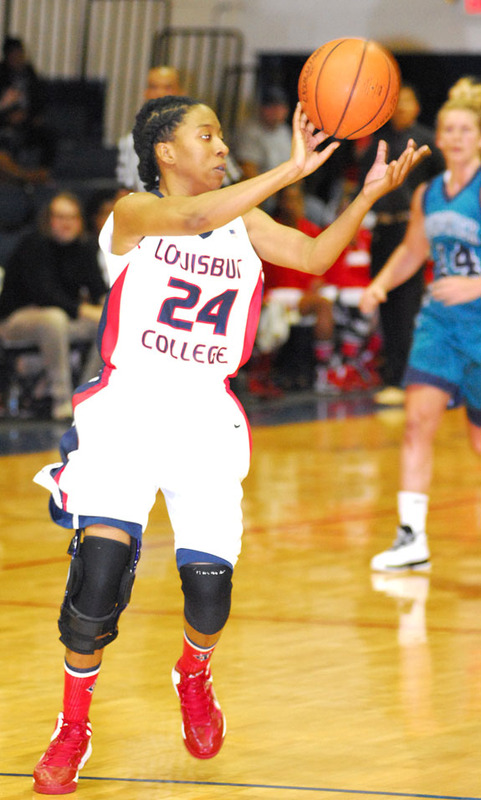 LOUISBURG -- With their ultimate mission completed at Louisburg College, several sophomores from the school’s women’s basketball national championship team are focused on continuing their careers at the next level. Two LC standouts have already inked letters-of-intent as Latrice Phelps signed at High Point University and Justin Taylor accepted a scholarship offer from Western Carolina University -- both Division I schools. 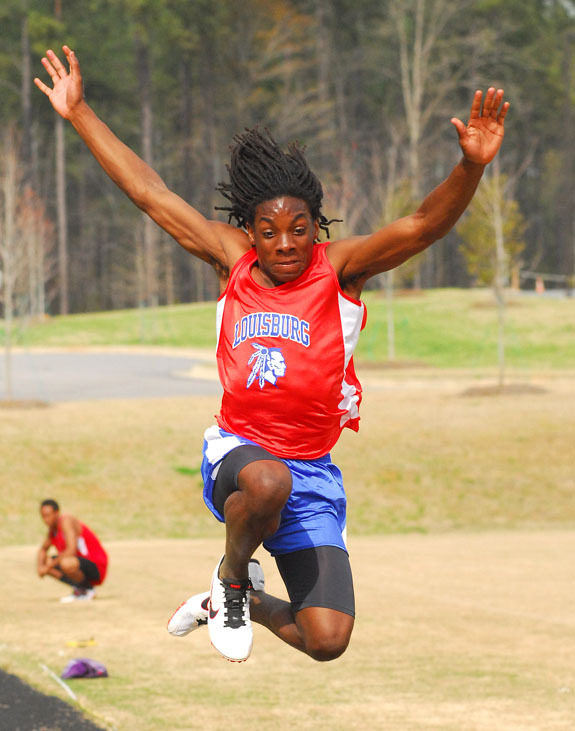 FRANKLINTON -- Fans who braved the weather for the entire day were treated to a fantastic finish last Wednesday as part of the annual Northern Carolina Conference Track and Field Championships. In the closing Boys 400 Meter Relay race, Bunn’s Clifton White ran the anchor and gained 30 meters down the stretch to give the Wildcats a miraculous victory over North Johnston by 8/10th of a second. 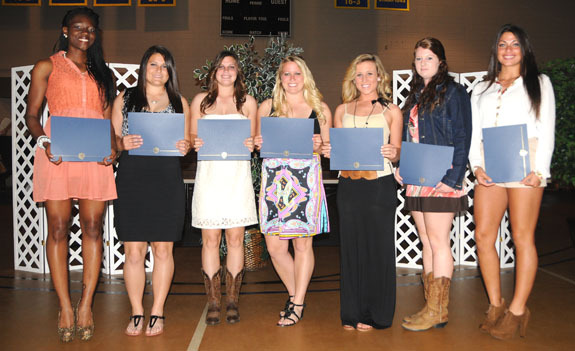 LOUISBURG -- Seven Louisburg College athletes were saluted at the annual Region X Softball Awards Banquet, which was held in conjunction with the league tournament two weeks ago in Aiken, S.C. Leading LC’s list of award winners were First-Team All-Region players Katrina Bartlett, Morgan Tharrington and Sommer Di Fulgo. 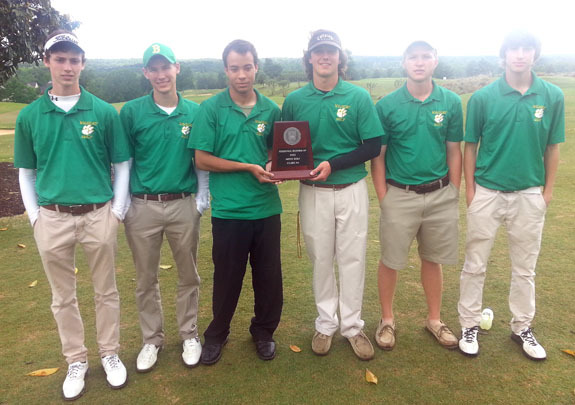 CLAYTON -- Coming into the event, Bunn coach Matt Keith wasn’t sure if his club would be able to snag one of the three state team berths from the Class 2-A Mideast Regional Golf Tournament. Barring a miracle, Keith knew that the Wildcats wouldn’t be able to get past Northern Carolina Conference foe Corinth Holders, which went undefeated in NCC action this spring. 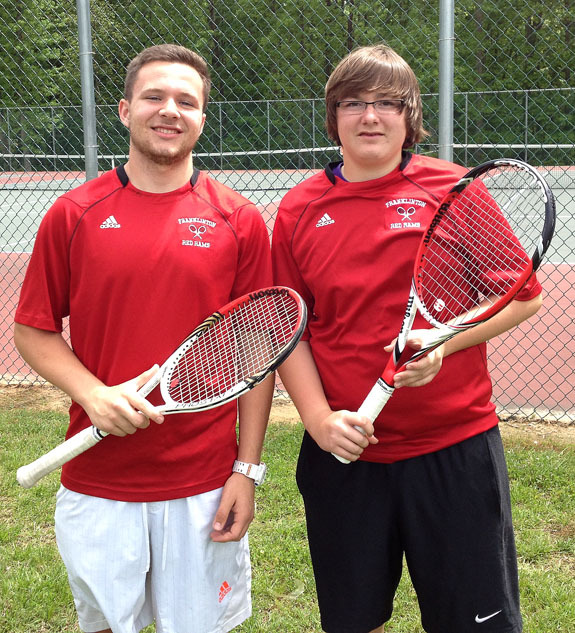 FRANKLINTON -- Franklinton’s doubles team of Grant Poupard and Garrett Freese needed a pair of first-round regional victories to qualify for the states -- and the Red Rams’ standouts were up to the challenge at last weekend’s Class 2-A Mideast Region Boys Tennis Tournament at Reidsville Park in Rockingham County. The Top Four finishers in each region event advanced to the Class 2-A State Championships, slated for this Friday and Saturday at the Cary Tennis Center. SALEM, VA. -- Garin Cecchini cracked a mammoth two-run blast over the right-center wall to rally the Salem Red Sox past the Carolina Mudcats on a soggy Tuesday night at LewisGale Field in a Class A Carolina League baseball event. The latest setback is Carolina’s fifth straight, and ninth in 11 games. Owen Dew (2-3) suffered the loss for the Mudcats (11-20). DANDRIDGE, TENN. -- The North Carolina B.A.S.S. Federation Nation state team recently competed on Lake Douglas in East Tennessee in the 2013 B.A.S.S. Southern Divisional. 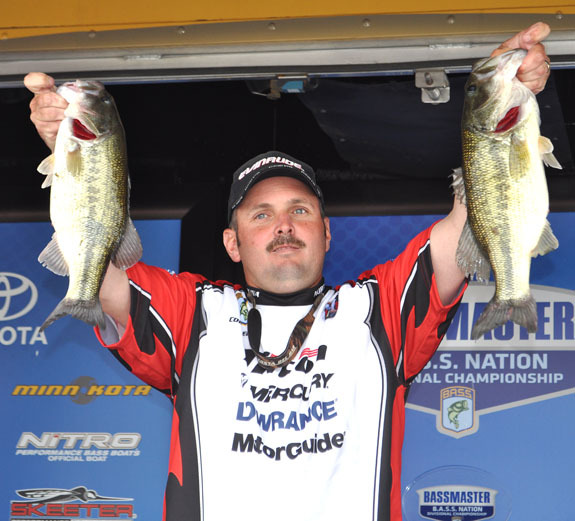 Cory Leonard of Franklin County from the Sandy Creek Bass Masters Club advanced to the 2013 B.A.S.S. Federation Nation Championship with his impressive performance. ELON -- The Elon University football team held its annual Spring Game last Friday night at Rhodes Stadium, as Elon (offense) defeated the Phoenix (defense), 61-50, with a modified scoring system in place. Mike Quinn gave Elon a lead in the third quarter, as the junior tossed a beautiful 47-yard touchdown pass to a streaking Andre Davis down the right sideline for the score. CHAPEL HILL -- Hailey Cook of Hendersonville High School and T.J. Logan of Northern Guilford High School have been named winners of the 2013 Athlete of the Year awards by the North Carolina High School Athletic Association. These are the top athletic awards given by the NCHSAA to honor the most outstanding male and female high school athletes in the state. SLEDGE SKIES ONE. Bunn’s Christian Sledge hits a ball into the air during last Friday afternoon’s home baseball loss against the Green Hope Falcons from Wake County. 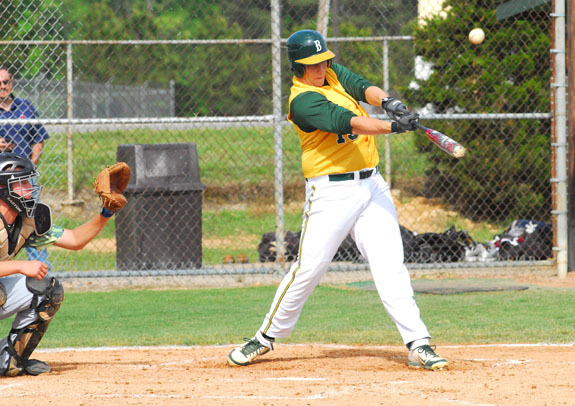 BUNN -- Bunn baseball coach Leonard Allen was hoping to play Tarboro in the finals of the annual Tarboro Easter Classic last month. But the Wildcats were edged in the semifinals, while the host Vikings went on to win the tournament. Allen will get his chance against Tarboro this Friday in the opening round of the Class 2-A State Playoffs. LOUISBURG -- The Louisburg Warriors Girls Basketball Camp is scheduled for June 24-27 at the LHS Gymnasium. The event will run run 8-11:30 a.m. each day and will be conducted by LHS girls hoops coach Sarah Bolten. Ages third through eighth grade are welcome. Cost is $35 per person, and a T-shirt is included. Registration forms can be picked up at the Louisburg High School Main Office. 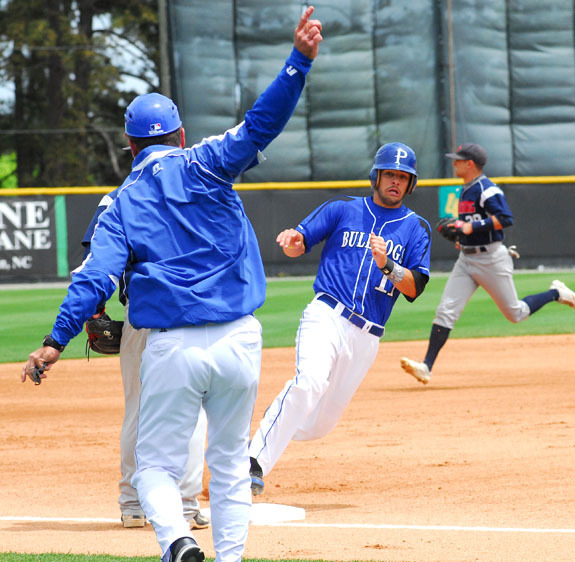 Pitt Community College’s Cameron Capell, a Louisburg native, rounds third base on his way to scoring a run during the Bulldogs’ loss last Saturday to Louisburg College at the Region X Baseball Tournament in Burlington. Capell, a sophomore, closed out his career for Pitt at the tourney. 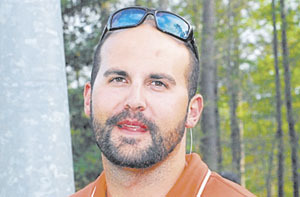 He prepped at Kerr-Vance Academy and is a former standout in the Town of Louisburg Recreation League. 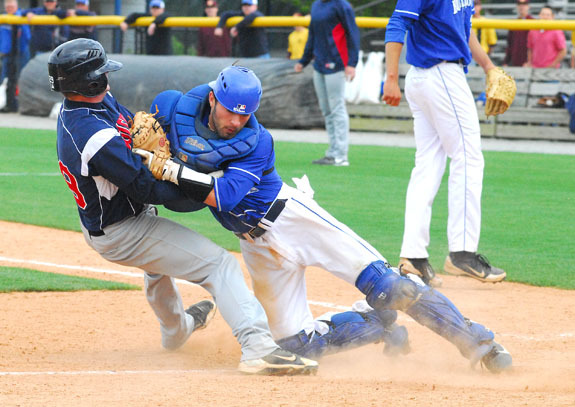 A Pitt Community College player (right) just beats a tag attempt by Louisburg College third baseman Augie Ayers during last Saturday’s action at the Region X Baseball Tournament in Burlington. Shown at left is Pitt CC head coach Tommy Eason. 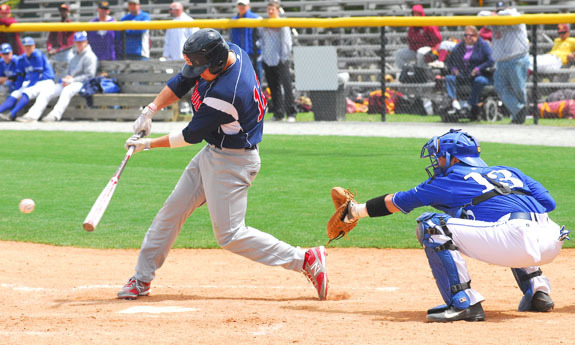 Louisburg College’s Tyler Long rips a pitch for a base hit last Saturday against Pitt Community College. 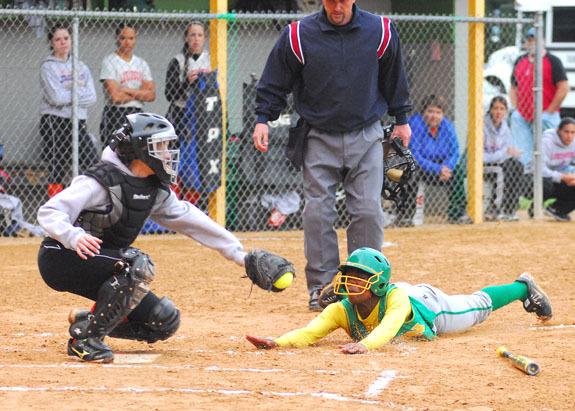 Bunn’s Jayla Cofield (sliding) appears to be out at home plate on an inevitable tag, but the ball was dropped and Cofield was safe during last Tuesday’s home victory. June wedding bells will ring! Ms. Heather Kathleen Reed and Mr. and Mrs. Clark David Frederickson of Franklinton announce the engagement of their daughter, Brandi Nicole Frederickson, to Jeremy Devron Mincey, the son of Ms. Bonnie Mincey Mills and the late William Augustus Mincey of Winterville. 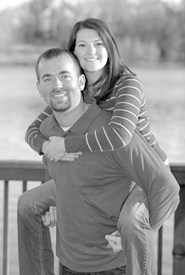 The wedding will take place on June 22, 2013 at Crenshaw Hall Plantation in Wake Forest. Allyson Ann Perry and Michael Duane Tetterton were united in marriage on Dec. 15, 2012 at 4:30 p.m. at New Hope Christian Church in Louisburg. The Reverends Steve Barham and Tom Eldridge officiated. A reception followed the ceremony at the Pilot Lions Club. The bride is the daughter of Mr. and Mrs. Glen Perry of Raleigh. 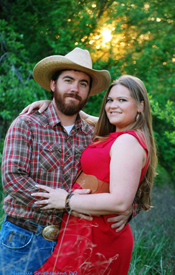 Christine Marie Keen and Jeffrey Howard Wood announce their engagement and forthcoming marriage. The bride-elect is the daughter of Amy and Ronnie Bass. The groom-elect is the son of Tracy and Jeff Wood. 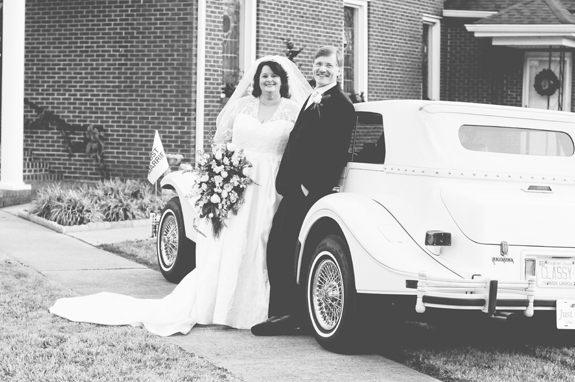 The wedding will be held at the Griffin homeplace in Centerville on May 25, 2013. 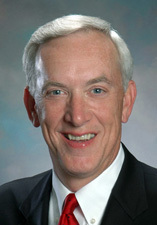 Dr. Tom Houlihan of Oxford, a member of the State Board of Community Colleges, will be the principal commencement speaker for Vance-Granville Community College’s graduation exercises on Friday, May 10. Felicia Sanders-Gupton of Warrenton, a college transfer student and president of the VGCC Student Government Association, will be the student speaker. LOUISBURG — An organization that uses grants to spur regional development has until the end of the month to pay a $311,000 debt or face the weight of a federal investigation and potential lawsuits. That threat, though, did not spur immediate action by Franklin County commissioners, who were being asked by the Kerr Tar Regional Council of Governments (COG) to write a $74,693 check to help pay that debt. Serving a warrant, deputies make intoxicating find! Deputies serving a child support warrant made an intoxicating discovery. They arrested two people connected to a moonshine still. According to a report by Sgt. A.R. 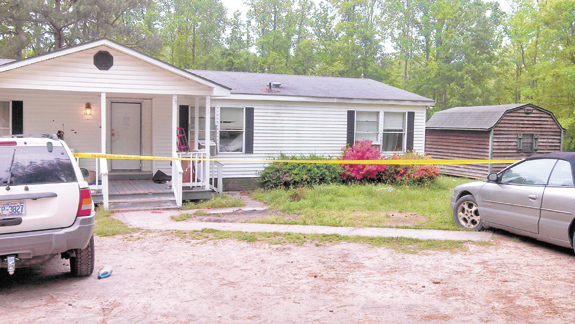 Roberts, Granville County authorities asked them to serve a child support warrant on a 34-year-old woman at her Gooch Road home in northern Franklin County. 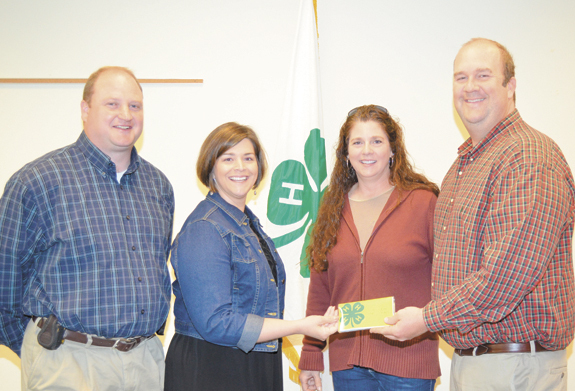 The Franklin County 4-H DIRT club led by Chad and Jodi Ray recently sponsored a dinner and auction in an effort to raise much-needed funds for the Franklin County 4-H program. All of the proceeds that were raised from dinner ticket sales and auction items were donated to the Franklin County 4-H Enhancement Fund and the Franklin County 4-H DIRT club. RALEIGH – The State Highway Patrol concluded Operation Drive to Live after a week-long education and enforcement campaign. The campaign, which ran from April 15-19, was focused on promoting safe driving awareness to teenage drivers. During Operation Drive to Live, troopers enforced all traffic laws around the state’s more than 600 high schools and conducted traffic safety education programs. Franklinton police arrested a couple, charging them with child abuse. 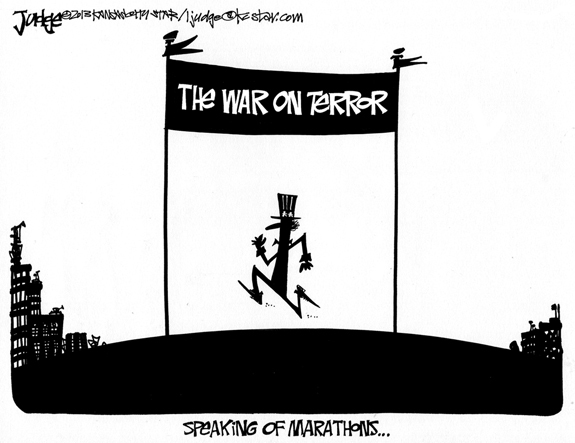 According to a report by Officer A.J. Bishop, Kenya Billings, 24, and Daniel Crawford, 21 were charged with felony neglect child abuse on May 6. Investigators allege they did not immediately notify authorities when a seven-month old child broke his leg falling off the bed. Hicks, center, takes a picture with Wade, along with the Miracle League mascot, Homer. The Miracle League of Franklin County held their annual Bike-A-Thon at Long Mill Elementary this past Saturday. 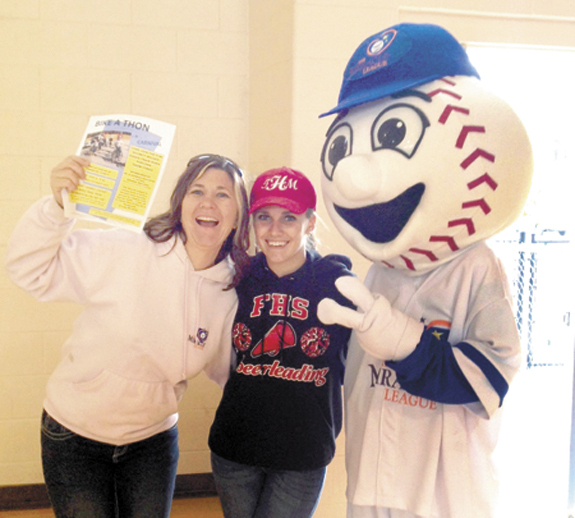 There were almost 100 participants, raising over $7,000 for the league, which is designed to give developmentally challenged children an opportunity to play baseball on a field fitted for their needs. Tiffany Hicks received $2,075 in sponsorships, Jayden Ossino $830, followed by Branson Reavis with $500. Inflow from heavy storms on Monday caused a wastewater spill in Franklinton. County utility staff said they experienced a bypass of untreated wastewater from a pump station located on Chavis Street in Franklinton. The spill occurred after the area received about 3.5 inches of rain during the afternoon hours. It’s peanut butter and jelly challenge time this spring! The Peanut Butter and Jelly Challenge is on again for the United Way of Franklin County Spring Food Drive. The UWFC food drive is twice a year and supplies the hunger program Feeding Franklin, which has 17 pantries that directly accept the food and distribute it to needy residents in Franklin County. In its fourth year, Feeding Franklin has placed more than 100,000 food items in Franklin County for the hungry. 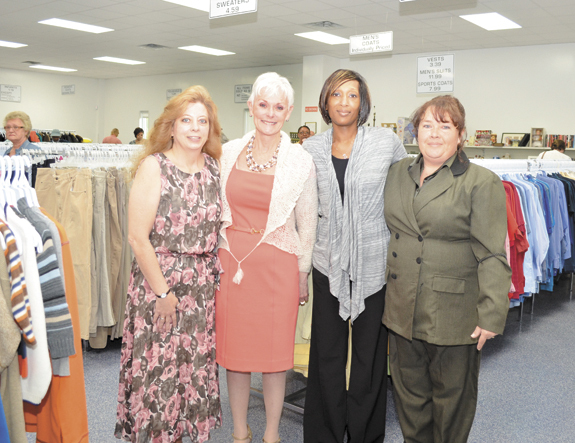 The completely renovated Goodwill Store of Louisburg opened last week in the site of the former Rowe’s Men’s Shop in Shannon Village Shopping Center. The store features clothing, shoes, household goods, furniture and other items -- and it’s open seven days a week.